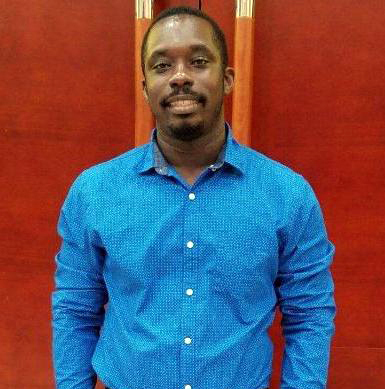 Family and friends of Michael Campbell are now mourning his untimely demise after he lost his life in a motor vehicle collision in the early hours of Sunday morning in Montego Bay. Campbell, 31, of a Greenwood address, was killed when the Honda CR-V he was driving slammed into the back of a parked Freightliner truck that was set along Sunset Boulevard in the vicinity of the airport. He suffered multiple fractures and contusions and was trapped in the vehicle. The Fire Department was called in and his body had to be extricated from the vehicle using hydraulic equipment. However, their efforts proved futile as the injuries he received proved fatal, even though he was rushed to hospital for treatment. According to reports, Campbell, a former Cornwallian, was on his way home when the accident occurred. 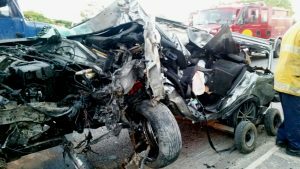 While the police have not released a cause for the accident, there are different theories going around as to what could have led to the accident. One is that the truck was poorly illuminated in its parked state, while another suggests he may have fallen asleep at the wheel. However, the police have yet to corroborate these theories. The death of Campbell has thrown his family and friends into a tailspin as he was a man who was very much loved. He reportedly leaves behind a young child and one on the way. Campbell, who was a chicken farmer, also did mechanic work at his father’s garage in Savanna-la-Mar from time to time.